The HTC Desire 510 is smartphone with Quad-core 1.2 GHz Cortex-A53 processor. For owner of this device, you must read the HTC Desire 510 manual because provide many instruction especially about update phone guide, backup and reset. The HTC Desire 510 was announced on 2014, August. It comes with Android 4.4.2 (KitKat) platform, work on under GSM, LTE and HSDPA network. The phone measuring 139.9 x 69.8 x 10 mm with weight about 158 g. It's available 5 MP camera, 8GB internal memory and 1 GB of RAM. In addition also support for microSD, up to 128 GB. The HTC Desire 510 is powered by Qualcomm MSM8916 Snapdragon 410 chipset and Adreno 306 graphics processor unit. It's has 4.7 inches, Capacitive touchscreen with resolution of 480 x 854 pixels. We have information about the HTC Desire 510 User guide from sprint.com. It's available in english language. 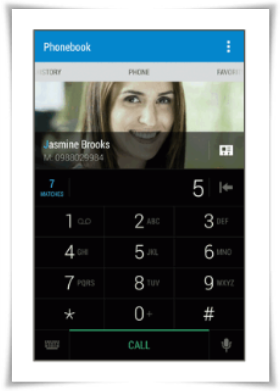 The manual provide detail information such as phone layout, tutorial how to activate phone, setup voicemail, transfer contcact new phone guide from anddroid and iphone. Then using home screen, locking and unlocking guide, using HTC sense keyboard, make phone calls, how to change ringtones settings, using internet calls, using wi-fi, backup and restore contacts, using google maps, VPN settings, using browser, portable wi-fi hotspot, share internet connection via USB tethering, using camera and video. Get Started with the Camera (Read on page 132). Next tutorial about using online storage like Google drive and dropbox, install HTC Sync manager on a windows computer, connect a bluetooth headset or car kit, insert the microSD card, update phone on page 168, backup and reset guid on page 183, and more.